Ack! It is weekend again and we've missed Photo-Friday. Sorry everyone. My, how the week has flown past. We've been busy with the Heppenaari Inverse Problems meeting, and the KAIRA team has been scattered travelling and processing the latest exciting results (yes, we've just made some serious breakthroughs and are working on it). But it is weekend and the weblog has been neglected for two days now. Time to set things right! Butter to grease the pot and tray. Apart from the butter, put everything in the pot. Mix it by hand until it has made a serious mess. Turn it out and butter the pot/tray. Turn on the over for some random number (180 seemed like a good idea). Dump the dough in the pot and sit it on the stove over the oven, which was slowly warming up. 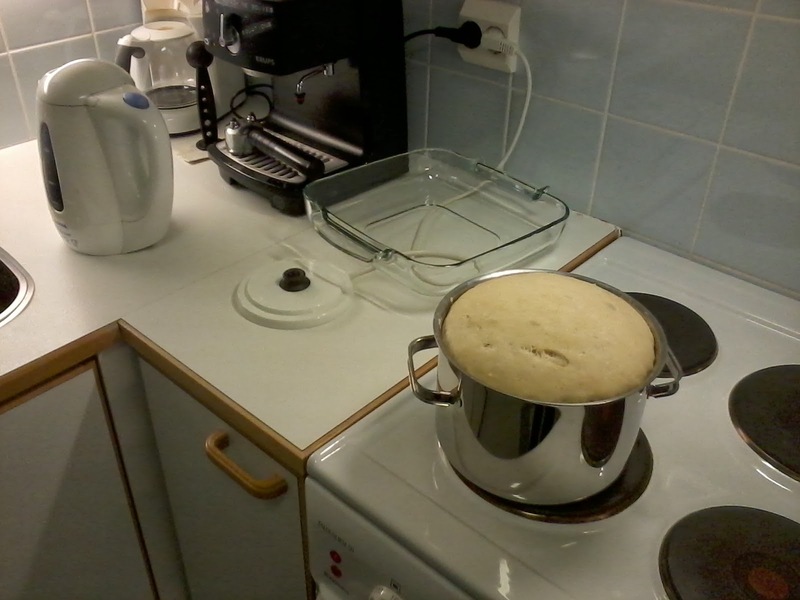 When risen (exact time = enough to deal with some KAIRA e-mails), splot it into the tray and place it in the oven. Leave it in the oven until force of appetite exceeds force of reason. Dough in the pot. I didn't have a bowl or anything. 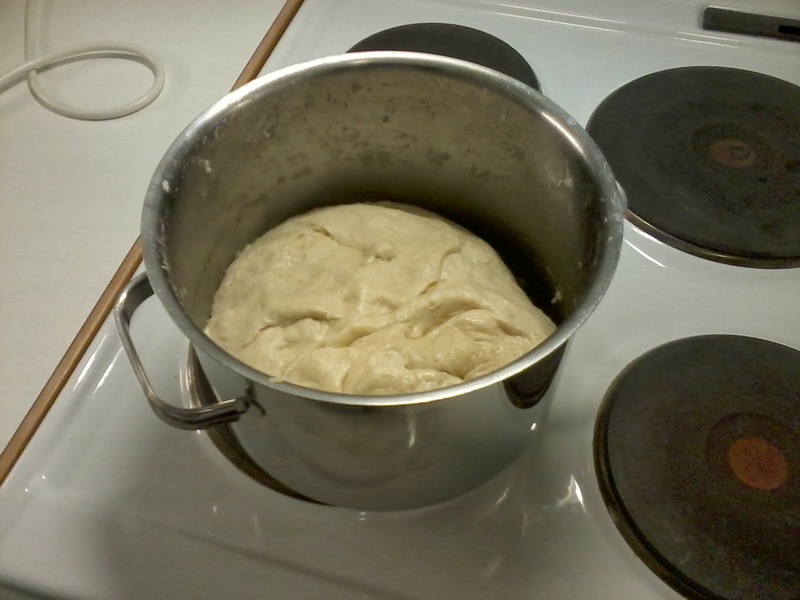 Rising dough in the pot. Note in the background the machine that solves equations. 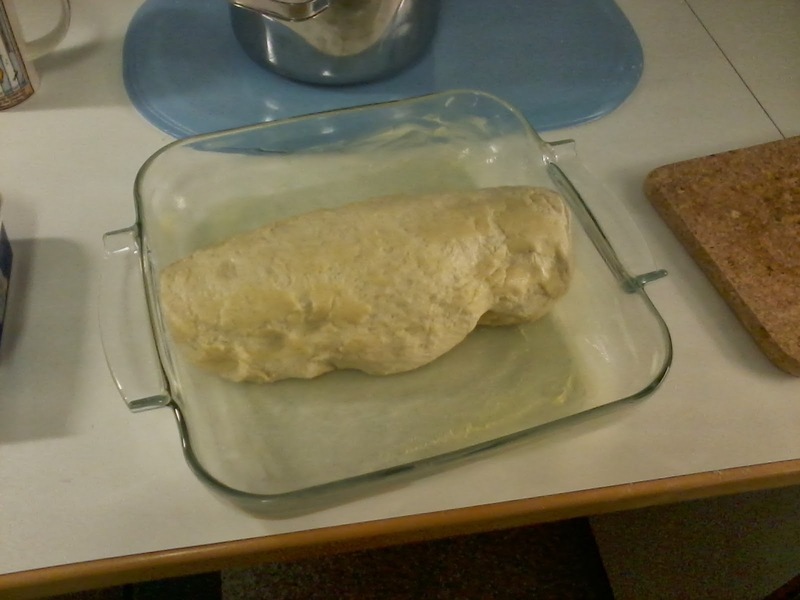 After a second rising, it went into a buttered, glass baking tray. Mmm... hot bread. Added lots of butter, and then toppings. 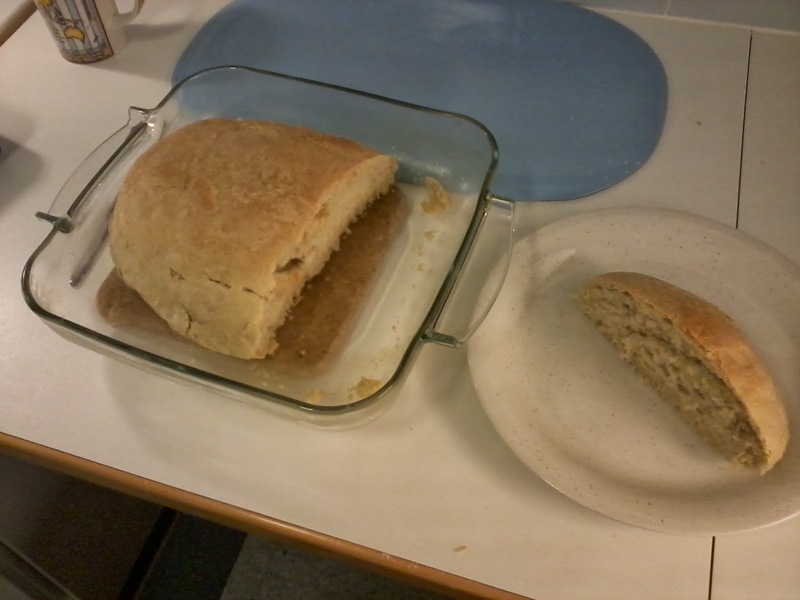 I think we could easily compete in the Great Finnish Bake-off, no? Can you show me how to make Finnish rye bread in the next part of your 12 part series?